Alleged guerrillas of the ELN, Colombia’s last-standing rebel group, kidnapped four people in a war-torn region close to the border with Venezuela. Witnesses told local media they saw men in military garbs with ELN armbands kidnap the men outside of a police station in the town center of Teorama in the Catatumbo region. “An illegal group entered the town center and selectively began to take the young people,” the mayor of Teorama, Jesus Montagut told RCN Radio. According to the mayor, the victims are all “young working men” and authorities were surprised about the operation in their town. The guerrillas generally only operate in the countryside to avoid confrontations with police. 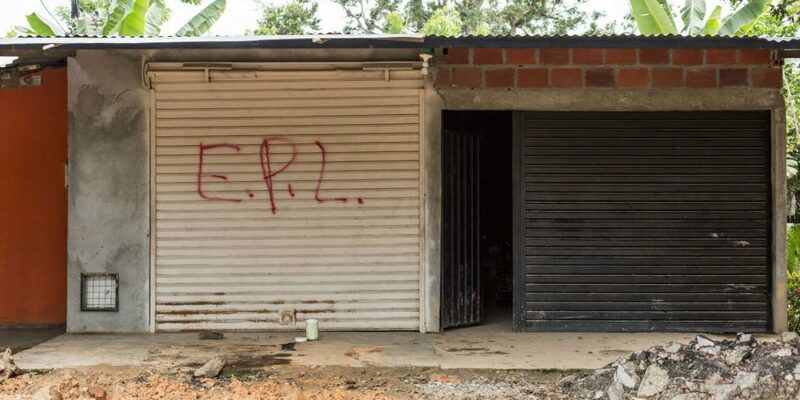 Montagut said that armed groups had recently “forced businesses to close” amid a turf war between the ELN and the EPL, the dissident faction of a demobilized guerrilla group. Similar threats occurred across the region in recent weeks as armed groups forced road, school and business closures while fighting over control of the region. Tensions in Catatumbo region boiled over three weeks ago and escalated further last week after Colombia’s army arrived to confront the ELN and EPL fighters. Locals leaders have called on the Red Cross to mediate the conflict. The mayor of Teorama asked the kidnappers to stop involving civilians in their armed conflict. “The most difficult part of the conflict is getting the civilian population involved,” Montagut told RCN radio. “We implore you to respect their lives,” said Enrique Rios, a local parish priest. The ELN and EPL have been coexisting peacefully in the abandoned region in for decades. Other groups that operate in the region are paramilitary group AGC and drug trafficking organization Los Rastrojos. A dissident faction of the FARC, the guerrilla group that demobilized 14,000 people last year, has also appeared and asked the ELN and EPL to stop fighting in a pamphlet.